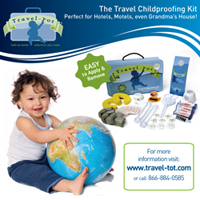 Travel-Tot: Boutique of the Week: Twilight Moon! For all those who have exhausted and frustrated themselves looking for that perfect, unique baby gift - your search is at its end; our pick for Boutique of the Week has got items you won't find anywhere else! Forget surrendering yet again to the siren song of a mega-store gift card and check out Twilite Moon! Featuring an extensive line of gear, furniture, toys, books, and baby and maternity apparel, Twilite Moon is the premier provider of everything innovative for "inspiring, nurturing, and celebrating life with baby!" By distilling the world of baby and child merchandise into a fabulous selection of only the best and most unique items available, Twilite Moon has done the shopping legwork for you! Their easy-to-navigate online shop offers something for every curious visitor: from eco-friendly nursery furniture, organic skincare, bedding and clothing options to the latest and greatest in travel and safety gear (even items just for Dad!). They even offer an online gift registry and a paper catalog by request! In addition to their fantastic selection of merchandise, Twilite Moon is dedicated to giving back to the community by enriching the lives of children all over the world. To that end, they offer a line of body suits and tee-shirts by tea collection's Global Fund for Children (GFC); one-hundred percent of proceeds from each GFC sale is donated to the Global Fund for Children whose grants benefit grassroots organizations that advance the dignity of young people around the world through education. In addition, Twilite Moon also recently donated almost one-quarter of a million dollars in merchandise to the Santa Barbara Birth Center, a non-profit organization dedicated to providing complete midwifery care to all women with low-risk pregnancies. For their dedication to the global community of families, their unique and stylish selection of merchandise, and their elegant and easy-to-navigate online storefront, Travel-Tot is proud to recognize Twilite Moon as our Boutique of the Week! Happy shopping!